Containing approximately 400 sheets of white 80gsm paper. 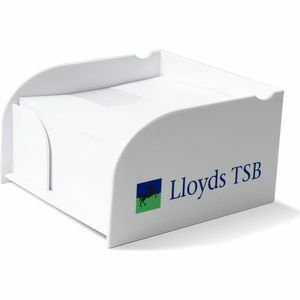 Sides can be screen printed 1 - 4 colours or can be printed with a full colour digital insert. Each individual page can also be prited 1 - full colour.